This is the third (and final) part of a three-part review of the Nature’s Light “Composing the Dunes” photographic workshop. Today we look at days nine through thirteen covering Deadvlei, Sossusvlei and Spitzkoppe as well as my concluding thoughts. If you haven’t already done so it is probably best to read part one and part two first. Leaving at 2AM the aim was to arrive at Deadvlei and be set up for around 3:30AM. Romeo had decided not to come – presumably as he was tired – but my advice is not to miss this opportunity. There’s no way that I can convey the feeling of standing in Deadvlei with the night sky above you as it is an experience in the truest form of the word. The silence is absolute. The sky is ablaze with starlight. There is so little light pollution that the faint glow on the horizon comes from the sun that had set hours earlier. The Milky Way galaxy is a glowing ribbon in the sky and other galaxies appear as luminous clouds. Even if you weren’t interested in photography, it is still worth the lack of sleep for there are precious few places left on the planet where you can have a similar experience. Despite it being 3:30AM we only had a couple of hours of light in which to capture star trails and so the first job was to locate a suitable foreground, set up the camera on a tripod, and go about capturing the long exposure shot that we’d later use in post production to create the luminosity mask. Once done we set the intervalometers to 240 seconds and 15 shots and walked away. This is the advantage for having not only two cameras but two tripods. Carrying one tripod is a necessary evil of landscape photography but carrying two seems excessive. However, given that you have very limited time in a unique location the ability to have one shot set up and taking care of itself whilst you concentrate on another is important as it doubles your shooting potential. So whilst the star trail was taking care of itself and with the obligatory coffee consumed we busied ourselves about the task of finding interesting compositions for astrophotography. The only disruption to the proceedings was a jackal that took a fancy to one of the LED lamps and tried to eat it. It is amazing how quickly the time went and soon it was 5:30AM and the light was rendering the canopy of stars invisible. The star trail time-lapse was complete and so we swapped to standard compositions although until the sun broke above the dunes the light was rather flat. Just after 7AM the first visitors were arriving which carried the mixed blessing of lending a sense of scale to the location whilst also meaning people were getting in the frame a lot more. We decided to call it a day and headed back to the lodge for breakfast. If yesterday was a tough day to pay attention during the lessons, you can perhaps imagine how today was. That said the excitement of having just experienced something I can only describe as “awesome” and seeing the initial results from the night’s shoot gave me a surprising amount of energy. There were more Photoshop lessons and another critique session followed by lunch and time to rest. As nice as the lodge was it did have one major issue: mosquitos. Despite having the mosquito net down the previous night and despite only being in bed for three hours I had a surprising number of bites and by the end of the three night’s stay I counted 47 bites. Luckily this is not malaria country but the bites were nonetheless annoying to the point of distraction. If I ever return I’m taking mosquito repellant and would suggest you do too. The late afternoon shoot was at Sossusvlei although I was tempted to return to Deadvlei as, like my first time at any location, I felt I didn’t really do a good job. In the end I stuck with Sossusvlei and glad I did. In any event it was going to be the only chance I got. 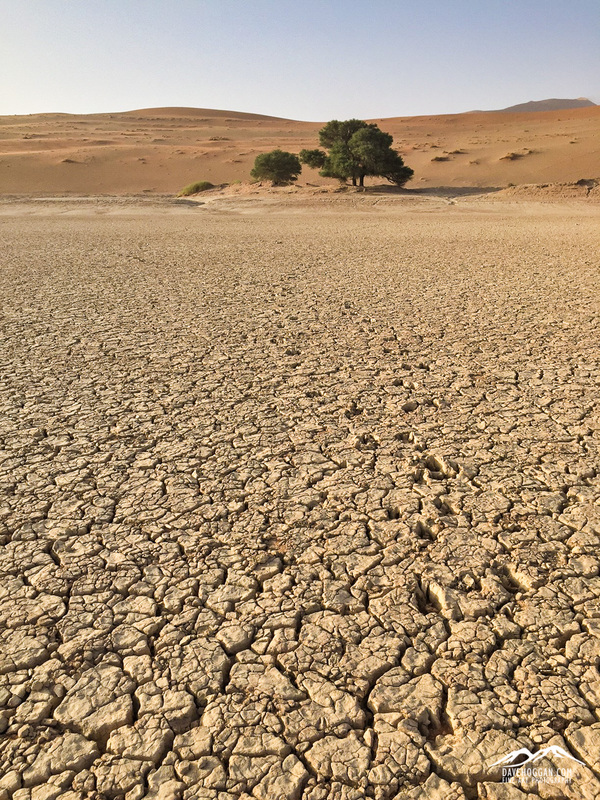 Despite being in close proximity to Deadvlei, Sossusvlei is a different experience. It is still a sun-scorched pan, but there are more signs of life. Oryx graze in the shade of trees and bushes ring the pan. Usually the pan at Sossusvlei sees an annual flood but Namibia has been in drought for a few years and the pan is a cracked, salty expanse. There are a number of options here and whilst Romeo busied himself composing some of the bushes I spent some time with some animal tracks that had obviously been left when the ground had been wetter. There are options to get an elevated view of the area – as well as a serious workout – by climbing the surrounding dunes. I made it half way up one before the camera backpack and tripod made the climb more of a slog. As with yesterday we headed back to the lodge in time for “curfew” – after the wonderful experience of this morning there was no point in jeopardising the chance to do it again! Another 2AM start in order to be at Deadvlei by 3:30AM, this time with Romeo who had seen the images we had shot the previous day. It was a similar process; set up a time-lapse and then use the remaining time to shoot astrophotography. Emil was delegated the task of light painting where required and we managed to get a couple of portfolio candidates over the course of the morning. Once the light became too bright we switched to more standard compositions only stopping once the first visitors began arriving. 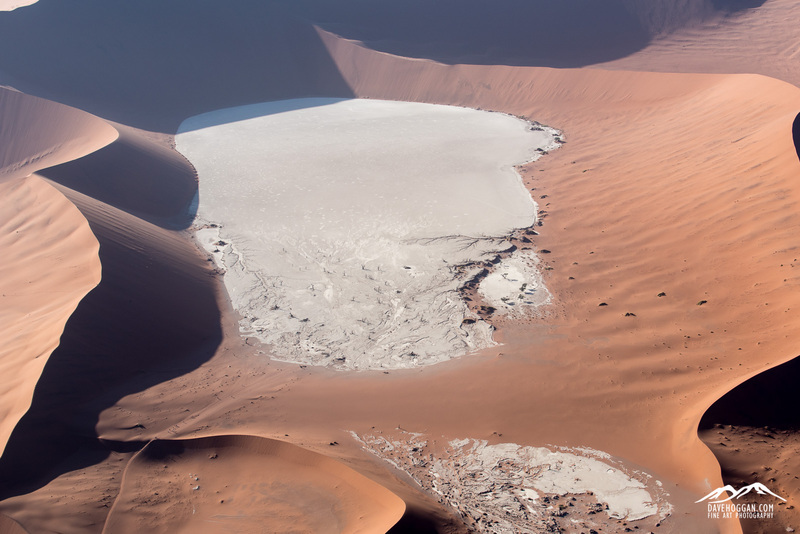 Climbing out of the basin I managed to capture Deadvlei with near perfect sands – in about 30 minutes the windswept patterns will be replaced by a mass of foot prints. 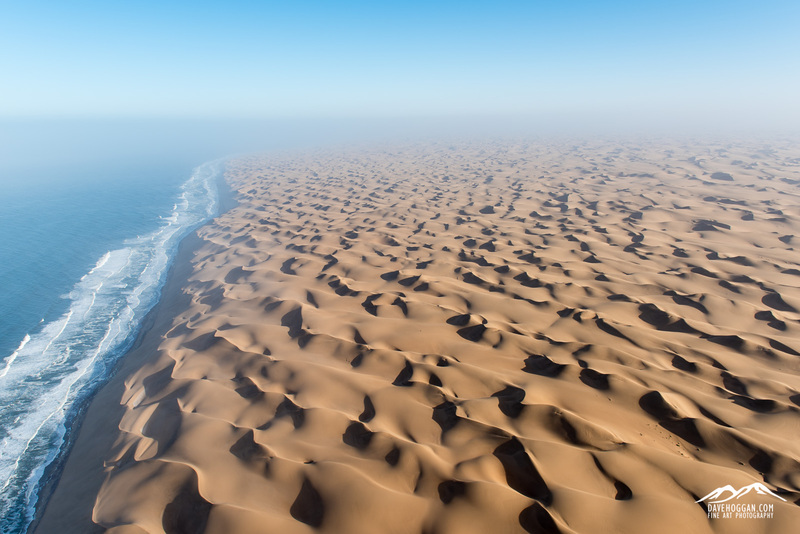 A sight that most visitors to Deadvlei won’t get to see – pristine sands sculpted by the wind and untouched (well, almost) by man. Having stopped to take the image of Deadvlei we realised that we were only a short way from Deadvlei’s less visited brother which from a distance is admittedly less impressive looking and I can understand why people may forego it and head straight for the main attraction. But it does have its own appeal and despite being smaller does have some potential. In the end we spent a very worthwhile 90 minutes here before heading back to the 4WD and the lodge. After breakfast we were travelling further north to the final location of the trip, Spitzkoppe. Given the previous two days early starts the journey was broken into two legs with today seeing us take a 150 kilometre journey to Rostock where we would stay and relax. The Rostock Ritz was excellent and although I could have likely slept standing up by now, the comfortable rooms and beds were appreciated. The Ritz like many of the places we had visited throughout Namibia was invested in solar energy and talking to the owner I discover that their (very impressive) solar array meant that they were totally independent of external power sources. And if you’re craving a bit of wildlife, the Ritz is also a sanctuary for meerkats. We had another lesson and critique session and Emil recorded another video, followed by a wonderful dinner and even more wonderful sleep. After breakfast we embarked upon the second leg of the trip to Spitzkoppe, a journey of approximately 250 kilometres. Along the way we made the usual stops as the landscape presented interesting compositions but even with a stop in the town of Karibib for supplies we made good time and arrived at the Spitzkoppe Rest Camp early afternoon. This is the most rustic of the accommodation and the only one where the rooms did not have en suite, but the showers were hot, the facilities clean and the rooms spacious and comfortable. Still the staff were perhaps less impressive and generally seemed unwilling to help. After a rest in the outdoor bar area, we headed out for a late afternoon and evening shoot. Spitzkoppe was the one location that I was unsure of prior to the start of the workshop. I even emailed Nick and Freya back in January 2015 to ask about whether we were really spending two days here. I was told that the feedback was invariably positive and so I left it at that, but it still seemed odd. With the benefit of hindsight I have to agree that the balance is right – the reality is that you’re not spending two full days here, but rather two afternoon/evenings and two dawns over three days. Also, despite “The Rock” (as I dubbed it) being exactly that, a big rock, there is more than enough to keep you busy. Despite simply calling it Spitzkoppe, we were actually based at Large Spitzkoppe, visually interesting in that it has vast slabs of unbroken, smooth rock face. It is also a pronounced red colour due to a high iron content and when the sun sets the mountains take on a striking reddish glow. 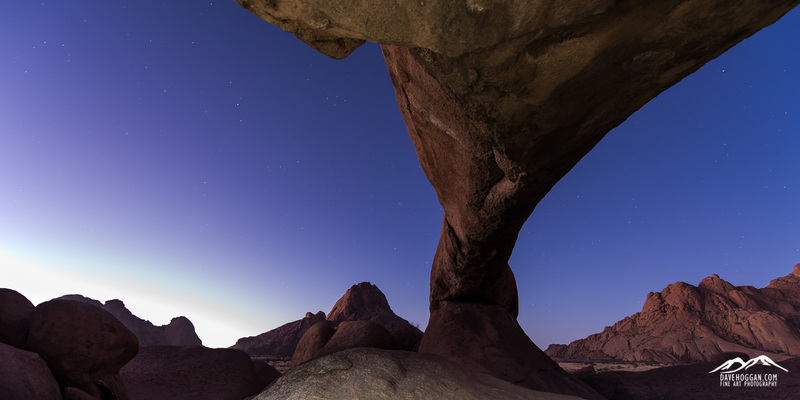 Large Spitzkoppe begins to glow as light from the setting sun falls across the rock face. Once the sun had set it was a quick drive over to a rock arch where the plan was to set up for some astrophotography. With three of us camped up on the rock arch there was room to move about but with a full workshop of seven, and two or three instructors, I suspect that it would get a bit crowded. The landscape suits panoramic shooting and so I embarked upon a series of attempts to shoot a panorama of the Milky Way and the arch, not quite succeeding with each attempt. In the end I managed a couple of single shot images before we packed up for the evening. It was a pleasant evening at the rock arch, especially as a nearby camp site had a coach party who for some reason had brought along a group of singers performing a variety of South African songs. The final full day of shooting and time for a lie in. Whilst Spitzkoppe was better than I had expected, a dawn shoot there wasn’t compelling enough for me to get up at 5AM. Perhaps I should have made the effort but I wanted to concentrate on the lessons and so the idea of a couple of extra hours in bed and feeling a bit more alert seemed a better idea. The lesson was more astrophotography – which I was more than happy with – and I felt that I was even beginning to understand it! After the lessons, it was time for another sensor cleaning session and I actually feel quite proud of cleaning my own sensors. It may seem a small thing, but it has given me a level of independence and comfort knowing that, at any point in the future should I find myself on location with a dirty sensor, I can resolve the issue myself. It is not just a cost-saving thing, it could make the difference between a usable shot and a ruined one. The rest of the day was spent relaxing before returning in the late afternoon to “The Rock”. There are lots of little details on and between the rocks and it wasn’t difficult to spend the afternoon composing various shots. But I had a goal in mind and that was to produce a good panorama of the arch and Milkyway, so as soon as the sun fell behind Small Spitzkoppe I was itching to get back to the arch and virtually sprinted across the rocks upon our arrival. Being happy with yesterday evening’s work Romeo and Emil busied themselves with setting up a time-lapse and as my D750 wasn’t going to be used I set one up too, set the intervalometer on 25 shots (far more than needed) and left it to its own devices. Taking the panorama was very time sensitive. I wanted the sky to still be blue whilst having a rich canopy of stars. At seven shots, each of 30 seconds, the entire run took three and a half minutes to work through during which time the stars obviously move and giving the Milky Way a slight arc in the sky. Emil popped up to see how things were going and since he was there got delegated the task of light painting the foreground before leaving me to my own devices. After a few passes the sky had darkened and the image in my mind with it so I returned to the others who had broken out dinner and the beer whilst waiting for the time-lapses to run their course. 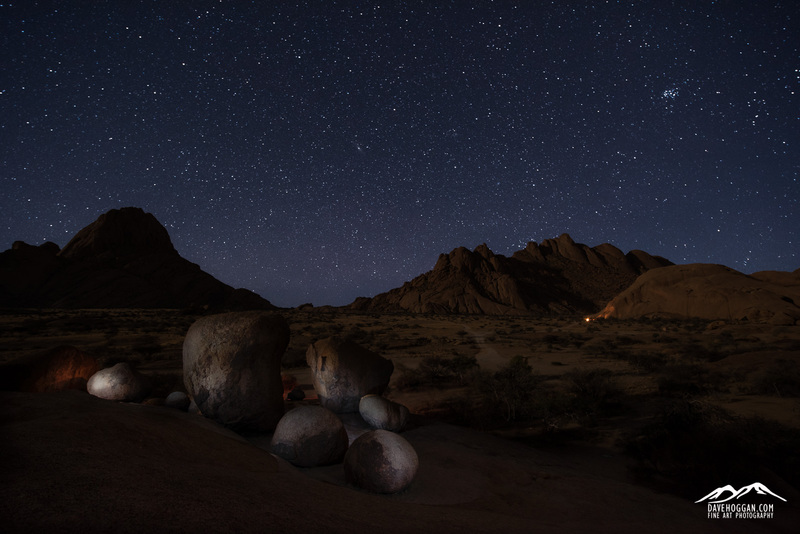 There was one final scene for the night shoot, a rather interesting group of boulders in the foreground with the plain extending out behind them to Large Spitzkoppe and the Pontok Range. What was a ‘quick shot’ turned in to close to an hour as we composed the shot, took the necessary images and then did the whole thing again as a safety measure. After the last shoot of the trip it was time to head back and pack: Tomorrow we returned to the airport. After breakfast and with everything packed back in our own bags we drove the 200 kilometres to Windhoek stopping for breakfast at a Wimpy along the way. Ever since Romeo’s 24-70mm was broken back in Lüderitz Emil had been trying to sort out a replacement lens – that focal length was too important to be without and Romeo was staying in Namibia for another two week for voluntary work. So, with my not needing to be at the airport until 3:30PM and Romeo not really needing to be anywhere, we headed into Windhoek to go collect the lens that Emil had managed to find. In the end the lens cost was more than initially quoted and more than Romeo was willing to pay, but the effort had been made to try and resolve the issue which to me is the point. The return flight was an experience in itself due to the infamous South African lightning storms but once on the flight to the UK I only remember two things: showering the lady in the set in front of me in red Namib sand as I put my camera bag in the overhead bins and sitting down. Apparently they couldn’t wake me so had to put my seat in the upright position for takeoff and, very kindly, reclined it again one in the air. That’s probably a sign of a good trip! The conclusion is always the hardest part to write and perhaps the most irrelevant as by now you’ll have already made a decision based on my description above and what you have read elsewhere on the Internet. Also, as mentioned at the start of the review this was my first, proper, workshop and so cannot compare it to the various other choices you’ll have. Over the course of 12 days we essentially had four locations: Keetmanshoop, Kolmanskop, Sossuevlei/Deadvlei and Spitzkopppe. There were other organised stops – Fish River Canyon and Sesriem Canyon for example – as well as dozens of ad hoc spots but these four were the locations where we had time to stop and think about composition and had the opportunity to return. It doesn’t sound like much but given the distance between them (hundreds of kilometres in each case) it averages out at about two days, or four shoots, each. Do I think that additional time at the locations would have been useful? Yes, for some of them. With two dawn and two afternoon/evening shoots I think Keetmanskop has plenty of time allocated. I think Kolmanslop could have an additional day giving two dawn and two sunset shoots – there is a lot there to see; individual details, the rooms and the exteriors. 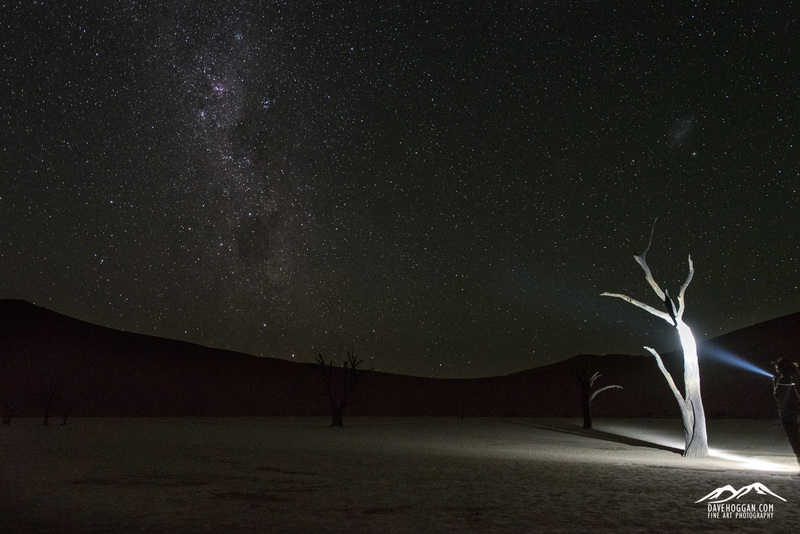 Again Deadvlei and Sossusvlei could benefit from an additional dawn and night shoot. We didn’t really have time to investigate Deadvlei’s little brother at night and although we could have walked up a dune for some aerial angles, it would have cost us a ground shoot. Surprisingly, being convinced the Spitzkoppe had too much time allocated to it before the workshop I now think it is about right. Of course, following my recommendations would add an additional two days to the workshop, adding cost and perhaps meaning the workshop requires more time than some people can afford, so it is a bit of a compromise. But I would definitely take Fish River Canyon off the itinerary: Given the time of year the workshop runs you’re not going to get to the canyon floor where the great light is and thus the chances of producing anything that would be of portfolio quality is slim. Given that I was not particularly bothered about having lessons before attending the workshop and now think that they were an excellent part of it says something about their usefulness. From knowing very little about using Photoshop I now can use layers and masks, including the very useful luminosity masks. I know now there there is more to astrophotography than simply pointing the camera at the sky and taking a long exposure. I knew this before but now I know how to shoot for astrophotography and subsequently post-process it. I know about focus stacking and exposure blending. I have left the workshops with a lot more knowledge than when I arrived, knowledge I can use on every shoot from now on. That said, I don’t think the lessons were perfect, although my one complaint is easily remedied. I really think that something as simple as a piece of A4 paper with each step described and the commands and functions used in each step would be useful: When you’re tired or English in not your first language it is very easy to forget something from five minutes earlier. Of course the individual could write this for themselves, but steps get missed easily and then everything after that falls apart. I also think that, not spending time making so many mistakes due to missing steps and commands could have meant learning another technique. Nature’s Light seem to have taken this suggestion on board and plan to have printed material for the 2016 workshop. But learning to clean my own camera sensors was a very useful bonus. The critique sessions were good too although again I think they could have been more useful, perhaps because I didn’t make use of them in the best way. Given the schedule we were on I barely had time to take daily backups and do some basic keyboarding, let alone process images. Instead both Romeo and I often showed images from previous trips and ones we considered our “best”. Perhaps I should have missed every other critique session and used that time to select images to be critiqued from the trip itself. I have no answer to that. Emil was, what can best be described as, “a machine”. Not only did he do all the driving, he was up before us – even at 2AM – to make coffee, up after we went to bed, adapted the schedule for things like my additional morning at Kolmanskop (meaning more work for him), spent time trying to organise a replacement lens for Romeo, kept on top of all the logistics of the trip and still managed to call his wife and children each day. That is no small feat and precisely the level of energy that drives a workshop to be a valuable and successful experience. So, the question I ask myself at the end of every review: Knowing what I know now about Nature’s Light “Composing the Dunes” workshop and assuming none of it could be changed, would I still go? The answer is a resounding yes! 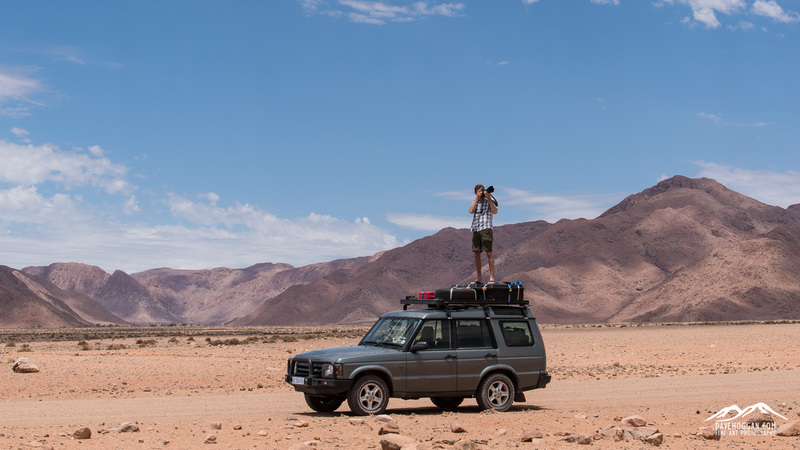 I left Namibia with skills that will see me develop in the future, some strong images and some unique experiences. And that, as the famous advertising slogan goes, is priceless. Details of the Nature’s Light trip can be found here. 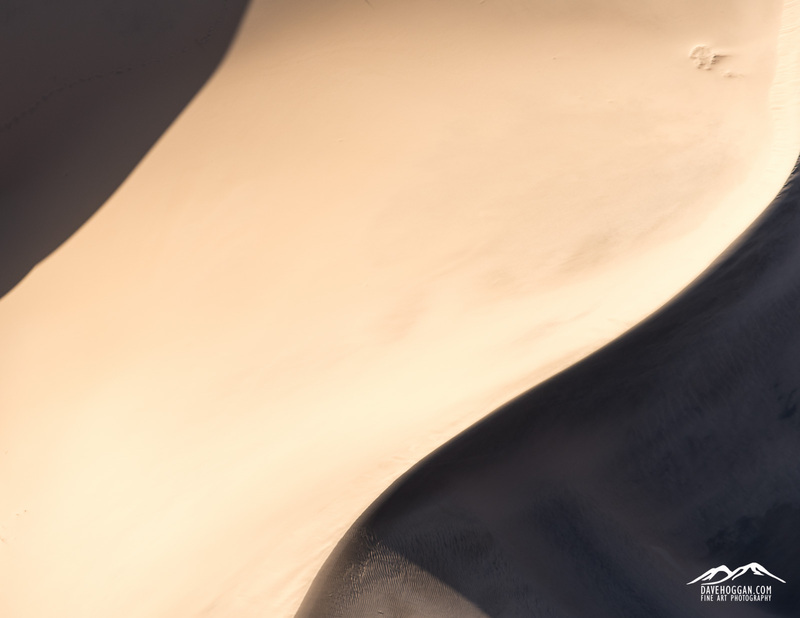 This is the second of a three-part review of the Nature’s Light “Composing the Dunes” photographic workshop. 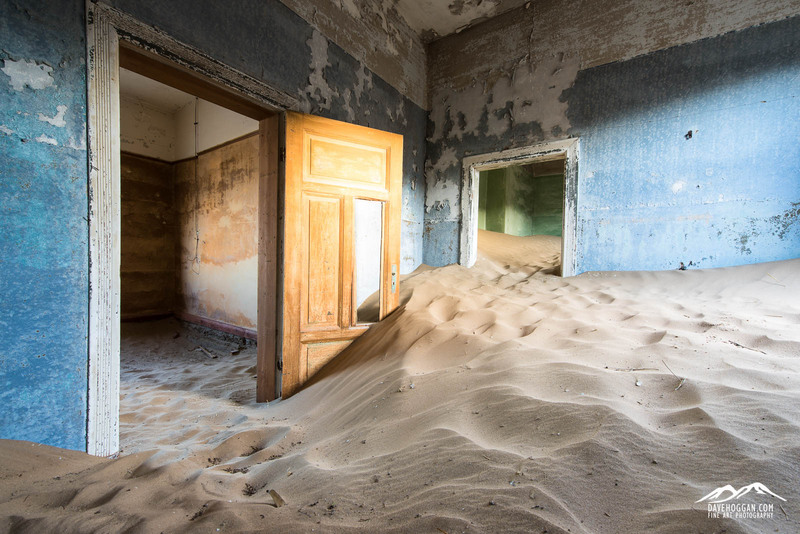 Today we look at days five through eight covering the allegedly haunted ghost town at Kolmanskop and the helicopter shoot over the Namib Desert. If you’ve missed part one it can be found here. The day started with another long drive – 300 kilometres – to the coastal town of Lüderitz. Along the way you can watch as hills slowly get replaced with sand dunes and there are a few stops along the way – a scheduled one at a derelict house next to a single track railway and an unscheduled one to photograph some pylons. I’m not a fast shooter and prefer to take time to look at a scene deciding how best I can frame it and so these short stops can get somewhat frustrating for me as I’m only getting started as everyone else wants to leave. But I know I am slower than most people and so I think that the time allotted to each stop is probably right although had these been more photogenic I would have likely been a bit more vocal. Depending upon how many stops you make along the way you’ll get to Lüderitz mid afternoon meaning that we were there in good time to collect the photography permits for Kolmanskop the next day and, as the light was still pretty harsh we had a couple of hours to check in and get some lunch. One of the joys of travel is finding something unexpected. I still remember a hostel in the backwater town of Xingping in southern China that served the best coffee I had in that vast country and I had the same experience in Lüderitz when Emil took us to the Diaz coffee shop. It had moved off the main street and was apparently far more basic than the last time he was there – some people may even be put off by its appearance – which would be a shame as they do some excellent coffee from various parts of Africa. Needless to say that the Diaz coffee shop became a daily refuge whilst in Lüderitz. Ahead of sunset we headed out to Diaz Point and the lighthouse there only to discover that the wind was brutal. Handheld shots were awkward and long lenses were completely unusable on my usually stable Gitzo tripod – even a Sirui tripod – one I dubbed “The Tank” due to its weight and height – couldn’t keep a long lens stable. And as if to prove the point it was here that we had the only fatality of the trip when the wind caught Romeo’s camera and 24-70mm f/2.8 attached to a tripod and sent it lens-first into the beach severing the lens body from the lens mount which, aside from the cost, meant he had just lost his main landscape lens. I had a spare 24-120mm (which I had made a point of bringing to Namibia after damaging my 24-70mm in Iceland, again a wind-related accident) and so lent this to him. As the wind was showing no signs of letting up, we abandoned the shoot and headed back to the Lüderitz Nest hotel and then out into town for for dinner. We were up before 5AM in order to head out to Kolmanskop. 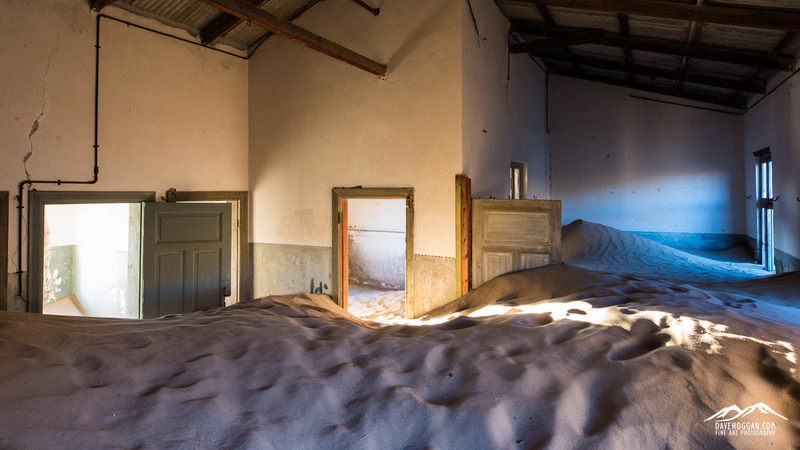 Kolmanskop is the second main location of the trip, once a thriving diamond mining town but abandoned in 1954 the desert has been reclaiming the place ever since. Permits are required as the land is owned by NamDeb, a joint venture between the Namibian government and the De Beers corporation, but once obtained you have free run of the place. The town is a popular photographer’s stop and so perhaps another advantage of the Nature’s Light workshop is that being off season meant less chance of other visitors – we were lucky and only saw a couple of other people on the first morning. The point of the early starts – not just at Kolmanskop – was to arrive on location and have some time to scout out compositions before the sun made an appearance but, as mentioned before I take a while to ‘get up to speed’. I did find a composition and had it set up as the sun’s rays crested the horizon filling the rooms, but as this was the only scheduled morning at the town I must admit that I, for want of a better word, panicked and despite having a perfectly good composition set up rushed off to find another one. Luckily I did take a couple of images before rushing off but I lost a lot of good light trying to scout out another composition. By 8:30 we were finished and heading back to the hotel. As the next shoot was at sunset we had the bulk of the morning and afternoon for lessons and the critique sessions. Given that there were just two of us the lessons were led by Emil on his laptop whilst we sat on either side with our laptops trying to replicate the steps. This perhaps highlighted the greatest weakness in the lesson structure; we were trying to learn new Photoshop skills and all the associated keyboard shortcuts, which is a lot to process, especially when tired and especially when – in Romeo’s case – English isn’t your native language. It would have been really useful to have a printed copy (not just an electronic one) of the shortcuts. Romeo even tried to video the process on his phone which wouldn’t have been a great video but it did lead to a flash of inspiration: Record the screen as Emil worked and whilst having him narrate the process. The result is a series of videos taken over the remainder of the workshop that I have referred to several times since my return. One of the things that Emil may do is create some formal videos – without the sounds of the Diaz coffee shop in the background, for example – but part of me wonders if they’ll be as useful to me as the rough-and-ready ones we recorded on the workshop, ones that include our images and ones we asked all manner of questions about. The wind was picking up again and by the time we arrived at Kolmanskop it was becoming painful to walk about as you were, quite literally, being sandblasted. Having had some time in the morning to look around the various buildings in the town I had a better idea as to some compositions that may work and so the angst of the morning didn’t make a re-appearance. There is a lot to photograph in the town and it surprising just how quickly the hours passed and with the sun already set a good half hour ago it was getting dark both inside the buildings and out. I began to head back to the entrance as we had an agreed time to meet but stopped along the way at the abandoned hospital to take a couple of shots. With the wind moaning down the long corridor, the strange shadows being cast along the walls and the banging of a door or window frame coming from one of the rooms, it was just like a scene from a teen horror film and probably wasn’t the best time to start wondering just how many miners had died in this building. The plan was to shoot some astrophotography over the buildings of the town but the wind hadn’t let up – if anything it had become slightly worse – and you didn’t have to make an attempt to realise that trying a 30 second exposure, let alone a 240 second one, would be utterly futile. I had been a bit annoyed at myself for messing up the morning shoot yesterday and Emil knew it. So despite today being a long travel day he had suggested the option of returning for another attempt. It meant getting a new permit (which was approximately £12) but it again highlights the benefits of small group travel: adaptability. Romeo hadn’t been interested in returning and so after driving me to Kolmanskop at 5AM Emil returned to pick up Romeo and take him out to Shark Island. To a degree the 2015 workshop is unusual in that there were only two guests but given that the maximum group size is seven and that is with two instructors I suspect that the same flexibility would be possible – perhaps even easier – on busier workshops. The morning at Kolmanskop was great. It was eerie being the only person in the dark, dead town – the first person I saw being the guard when I returned to the main gate for 8AM. This being my second morning I had a better idea where the light would fall and so had a relaxing and enjoyable shoot. Some people like to return to the same location, some don’t, but at least we had the flexibility to decide. After breakfast it was a 470 kilometre drive to Sesriem, right on the edge of the Namib Desert. It was a long dive on the crushed rock roads and we were keen to get the driving out of the way as quickly as possible so we made fewer stops, such as at another abandoned house and, at my request, the house by the rail track we had stopped at a couple of days ago. The bulk of the day passed watching the landscape changing as the red sands of the Namib Desert slowly came into view and then alongside us. Along the way we made a few stops as details of the landscape captured our interest although the pounding sun and sparse shade made sure we didn’t hang around longer than necessary. One of the reasons for keeping the drive north as short as possible was to arrive at Sesriem before the airfield closed for the day. 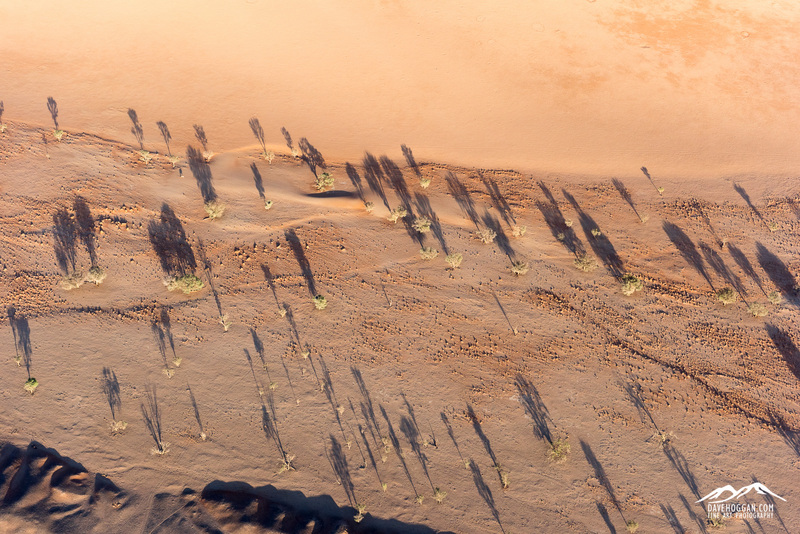 One of the options of the workshop was to take an aerial flight over the Namib Desert. It is an additional cost but both Romeo and I were of the same opinion and wanted the longest possible flight that they offered, in this case 90 minutes. Luckily they had availability the next day so that was booked and, with still a couple of hours before sunset, we headed off to Sesriem Canyon. Sesriem Canyon is nowhere near the grand scale of Fish River Canyon but its smaller scale makes compositions easier. We were also not limited to the top and took the path down to where long shadows were already forming which had the additional benefit of being conveniently out of the still intense sunlight. It was also the first point in the trip where we encountered other people, groups of them in fact, and so it involved a bit of timing to compose a shot and take it before the next group walked into frame. The day ended with our arrival at our accommodation for the next three nights and what was likely the most impressive of the accommodation, the Sossus Dune Lodge. The point of the long journey north was to visit the iconic Deadvlei and Sossusvlei, often just collectively known as Sossusvlei. 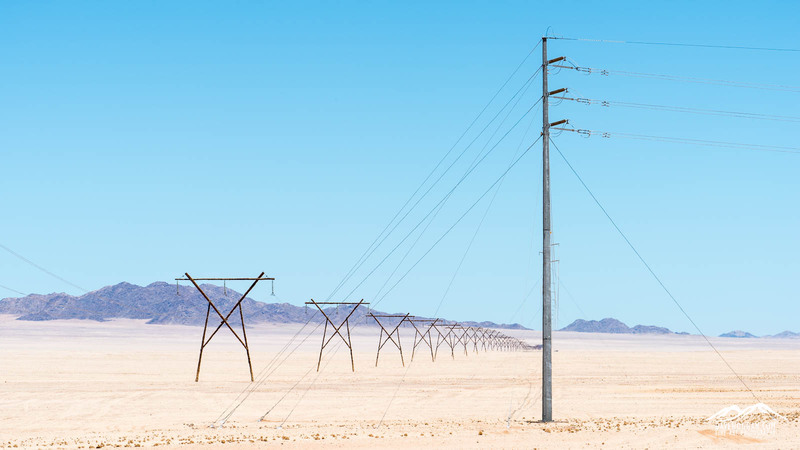 The vleis – vlei translates as marsh – lie inside the Namib Desert and inside the boundaries of the Namib-Naukluft National Park, a heavily protected area where access to the park is via a security gate. Nature’s Light had organised for us to stay at the only accommodation within the park boundaries – the Sossus Dune Lodge – which after being there and experiencing Deadvlei in particular, I feel has to be a prerequisite for any photographer. The park gates open sunrise and close at sunset which, given the fact that both Deadvlei and Sossusvlei are next to each other approximately one hour’s drive into the park means that there’s no chance in capturing the first and last light of the day if you are not already within the park boundaries. 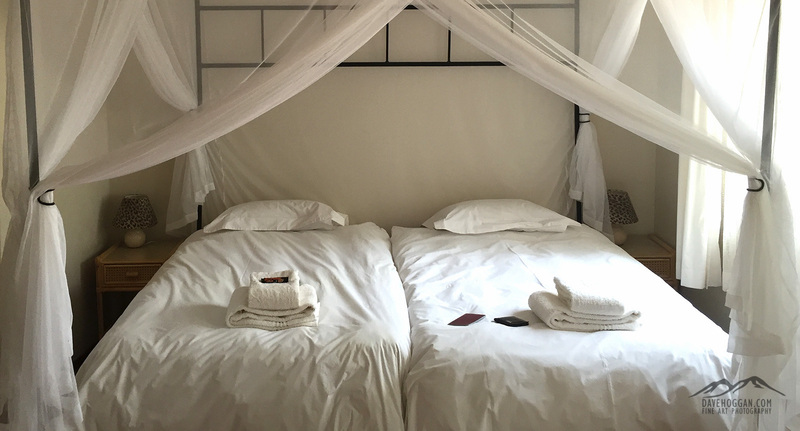 Given its status as the only accommodation within the national park it could have been a flea pit and we likely would not have cared but it the rooms were clean, spacious, had a fridge and an impressive panoramic view of the plains where Oryx grazed. Not that you’ll get a chance to see any of this: The 5AM lie-ins are over! The structure of the next couple of days will vary as it depends upon whether you opt for the flight, when and if it is available, and where your interests lie. It would have been more difficult for us – although we were given the option – for one of us to visit Deadvlei whilst the other went to Sossusvlei, but with more guests there would be two guides making such a split easier. 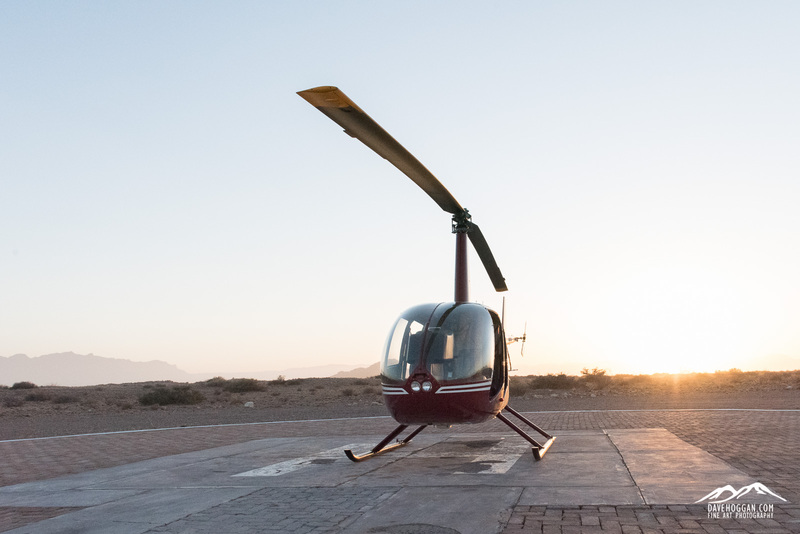 If you do decided to take the flight you’ll likely be given the same options we were, helicopter or light aircraft, although you may be constrained by what is not already booked out at the time. With the helicopter you have to book the whole craft which sits three plus the pilot, but as there were three of us this was not a problem. Which you pick is a matter of choice (and availability) but upon Emil’s advice we opted for the helicopter, primarily as you can take the doors off and have an unrestricted view of the landscape below. But, bring something warm – the pre-dawn air may be warm at the airfield but by the time you get to the Atlantic coast at altitude flying in a craft with no doors, it will be very cold. If you are thinking of taking the helicopter flight it is worth bearing a couple of things in mind. First, once airborne it is going to be cold and windy and space is restricted. You are not going to be changing lenses so plan ahead. 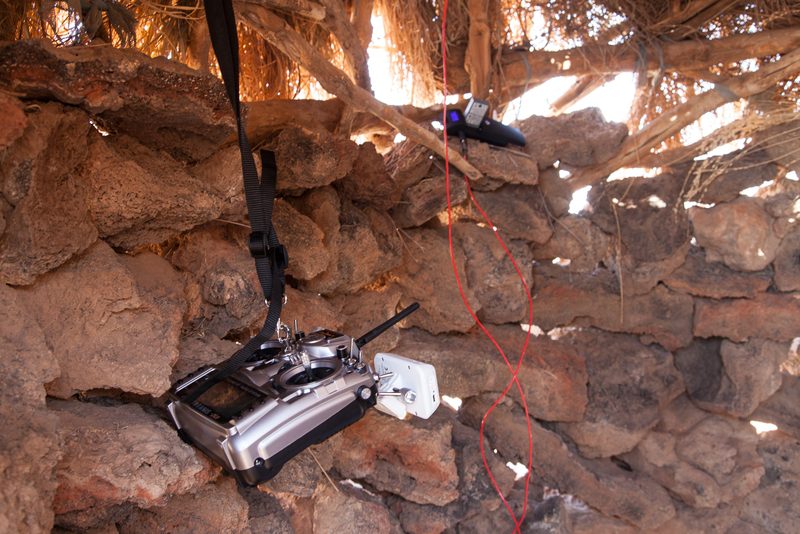 Ideally you will have two cameras, one with a wide angle and one with a zoom of some kind, but if not you might want to consider what type of shots you are after before take-off. Second is the vibration. Everything shakes, even you. I hadn’t considered this but Emil suggested minimum shutter speeds which I am glad I followed – a couple of times I tried a ‘creative’ shot but even at 1/500th there was evidence of shake – see the video below to see just how bad the vibration is. Third is gaffer tape. Apparently the wind will happily pull the lens hood of the lens – which gives an idea as to how windy it will get – so we took the precaution of taping the hoods on. Finally, if something falls out – other than a person I’m guessing – it is gone. Memory card, lens, camera – you’re not going to see it again. The pilot was telling us how many GoPro cameras have been lost on his flights alone. So, have a strap for your camera. I use the OP/Tech wrist straps as they’re comfortable and can be tightened or loosed as required. Maybe wrapping the shoulder strap around your wrist will work but that can be a hinderance as much as anything. It is also worth making sure that the batteries are charged and the memory cards are empty – you will likely end up taking several hundred shots. After the safety induction (where the GPS and Sat Phone was, expected emergency response times etc. ), we were off. I’ve never been in a helicopter before and am known to be none-too-keen on flying in general, but this was awesome! The video below (approximately three minutes) is split into three sections of around 60 seconds each: The take-off, approaching the sand dunes and a time-lapse showing the flight out to the Atlantic coast. Because we had opted for the 90 minute flight the pilot had discussed with us our options for the route we wanted to take. We decided to fly out across the Namib Desert to the coast and back, passing over Deadvlei and Sossusvlei on the return trip. The route did give us a variety of landscapes to photograph including the slightly bizarre sight of sand dunes hidden in the mist of sea fog – something only possible with coastal deserts. If you still need convincing, here’s a few images only possible if you take the flight. We were back at the lodge for breakfast and as the next shoot was late afternoon we spent the day on lessons and another critique session but, despite my best efforts, I actually fell asleep during the lesson. The workshop brochure makes a point of the lesson time and although at the time of booking I really wasn’t too bothered about the lessons having now sat through them I see just how useful they are – you only have to look at the astrophotography shots to realise that through the lessons I have learnt a new skill. I’m guessing that, based on Romeo’s and my skill level, Emil’s aim was to teach us four Photoshop techniques: Focus stacking, exposure blending, star trail stitching and luminosity masks. It may not sound like a lot to learn but being increasingly sleep-deprived and in a hot desert really doesn’t qualify as the ideal learning environment – and Romeo’s first language was Croatian. So we struggled. We didn’t understand things, we forgot what step one was by the time we got to step five, we forgot simple command sequences and so on. We weren’t being dim-witted, but we were tired. And so will you be by day eight. So whilst I do think that the lesson structure could be improved (see the conclusion as to my thoughts on that) I think that the repetition of the lessons worked quite well. In a larger group there’ll be both advanced and novice Photoshop users, but in the past they have split the group and taught lessons to suit each group. 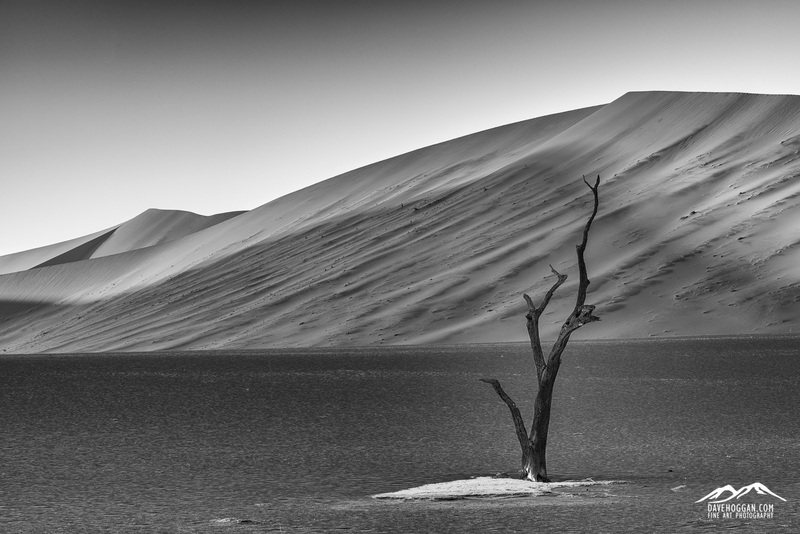 The afternoon shoot was the first trip out to Deadvlei – possibly my favourite location of the workshop. Despite the lodge being within the national park boundary, it is still an hour long drive surrounded by increasingly impressive sand dunes reaching 300 metres high. Along the way we had to make a stop to let air out of the tyres when the road surface turned from tarmac to sand, and even when we arrived at car park, we had not arrived at Deadvlei as there was a 20-30 minute hike across the sand dunes still ahead of us. 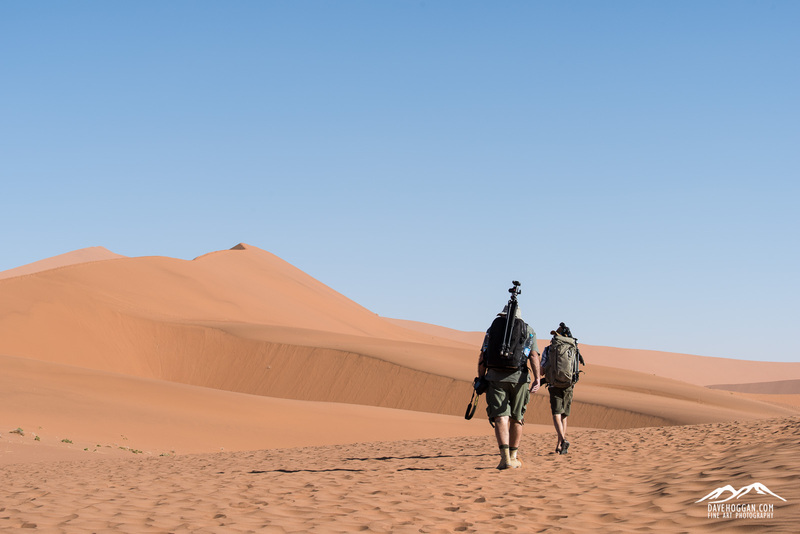 Hiking on desert sand is an experience, especially when carrying 12 kg of camera backpack and two tripods in temperatures over 30°C and even more so when it is uphill. At some point you may just wonder if it is worth it. It is. By the time we arrived – with a good hour until sunset – most people had already left, presumably as they needed to get back to the park gates before they closed for the evening. Having Deadvlei to yourself is a great experience and aside from the obvious fact that less people meant that there was less chance of someone being in a composition, it just felt more personal. 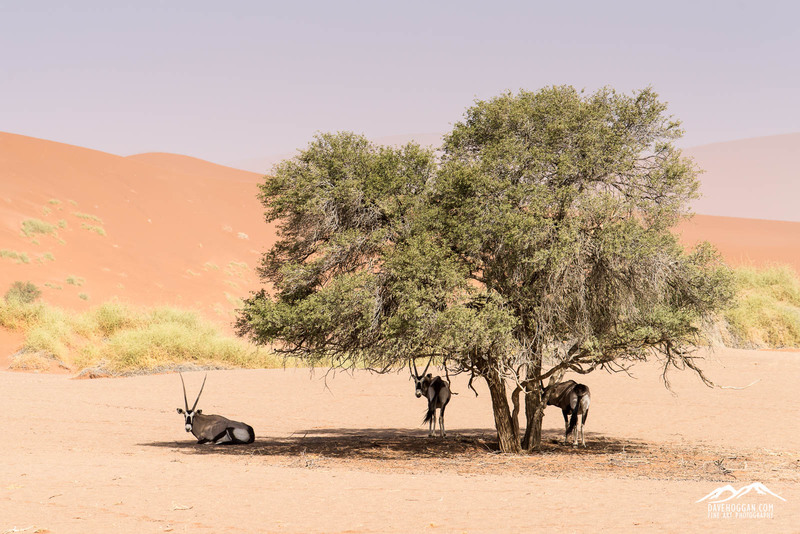 Despite being within the park boundaries the lodge is required to ensure that its guests adhere to the same access times as other visitors and, although frustrating, the rules are there to not only ensure the safety of everyone concerned, but to ensure that Deadvlei and Sossusvlei are protected. That said, Nature’s Light have built up a relationship over the years with the lodge and so they understood that we were there for photography, with the implied level of trust and respect for the environment that goes with that. 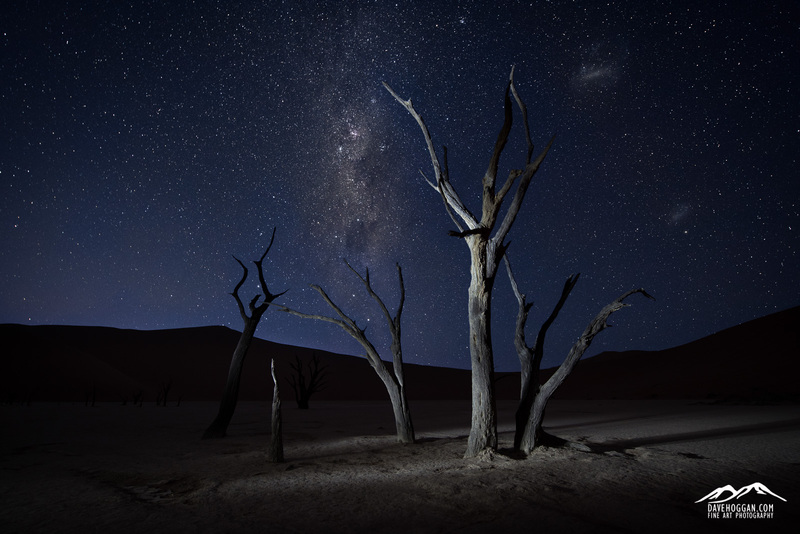 As such the lodge wasn’t absolute in how it enforced the access restrictions which lead the way to one of the more memorable experiences I have had on my travels: The night shoot at Deadvlei. In the third and final part of the review we will cover Deadvlei and its sister Sossusvlei, finish the trip at Spitzkoppe and I’ll cover the concluding remarks. The kind of traveller that you bump in to on a trip to Antarctica is, perhaps unsurprisingly, the well-travelled one and so when relaxing in the bar each evening there were plenty of stories being swapped of the various destinations that people had visited. So it was that I first received a recommendation for Namibia back in 2012. 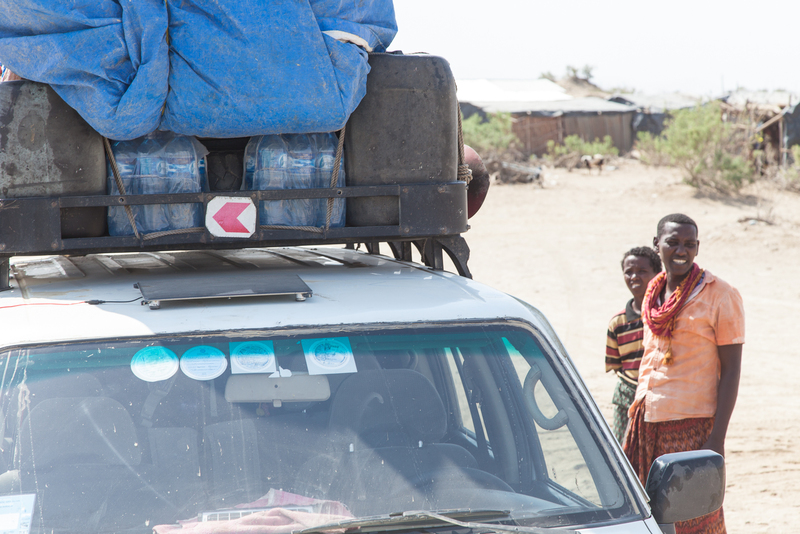 Skip forward to the 2014 trip to Ethiopia and another recommendation, this time from a pair of photographers. 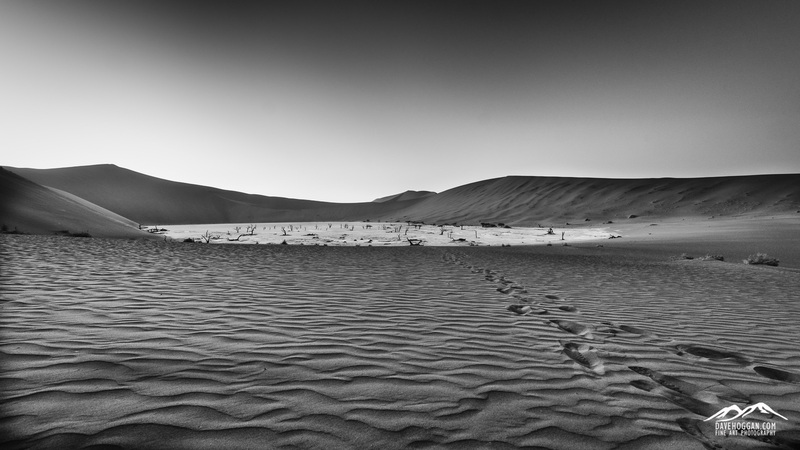 Upon my return from Ethiopia I had already decided that I wanted to see Namibia for myself. I didn’t realise just how much there was to write when beginning this review and it ended up being a little longer than expected. In itself that says something about the trip but since it is far too much to read in one sitting I’ve divided the review into three parts: Introduction and days 1-4, days 5-8 and finally days 9-13 and the conclusion. Planning a trip to Namibia is likely one of the easier trips to Africa you can make. 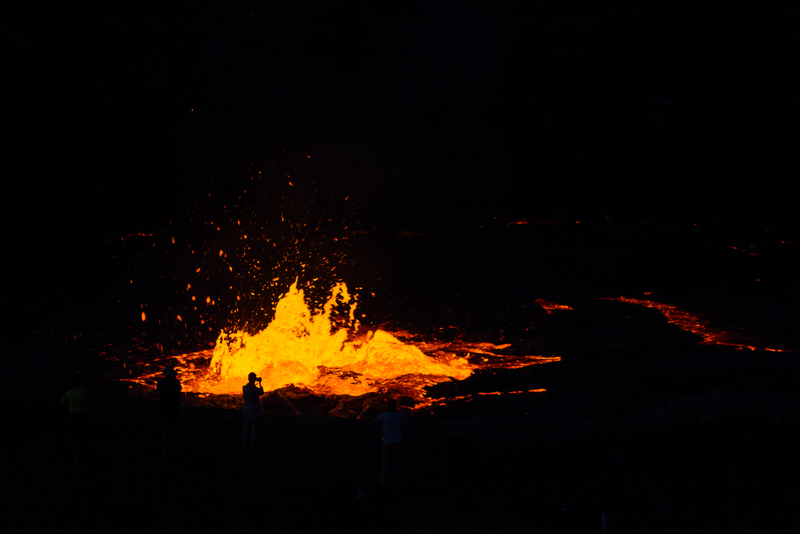 It is financially and politically stable and a number of tour operators have offerings to suit most people’s ideas of a “holiday”, photographic or otherwise. The photographer is well catered for with a number of different options and a lazy afternoon with Google saw me with a number of different options for a photographic workshop in Namibia. Because I didn’t fancy spending countless hours deciding on the small differences between each offering I picked three based on a range of costs, locations visited and the description on their respective web sites. It is worth mentioning that this was my first photography-specific expedition. Ethiopia was described as a photography/geology trip, but most people on that were not photographers and as a result we ended up missing a lot of good opportunities through a variety of frustrations. As such I really have nothing to compare this trip to Namibia with. The reason that I decided on a photographic workshop was two-fold. First, the missed opportunities in Ethiopia meant I really wanted to be on a trip dedicated to photography, visiting locations of interest to photographers and being with other people who knew not to walk into your composition. The second reason is that there are some countries that are better to travel with local knowledge. Namibia is a safe country – as safe as most destinations and definitely one of the safest in Africa (in fact probably only second to Botswana) – but I had already been forewarned about the high risk of blown tyres when driving the roads there and I really didn’t want to have to plan the logistics of hotels, hire cars, permits and all the other myriad requirements. They visited the skeleton forest of Deadvlei and the neighbouring Sossusvlei , the ghost town of Kolmanskop and the quiver tree forest at Keetmanshoop – all on my shortlist. The trip was scheduled for November which is more-or-less my preferred travelling time. It was also the only trip I could find in this timeframe so that helped the decision! They made a point that it was a landscape workshop (as opposed to a wildlife one). They were considerably cheaper that the competition – around 30% cheaper. To be honest, they pretty much had me with the “focus on landscape” point – I have no interest in wildlife photography and any workshop that includes that would be taking time away from landscape work. Plus it is an refreshingly honest statement to make: There will be people who dismiss them as an option because they want ‘a bit of everything’. The only concern that was nagging me was the fact that they were a lot cheaper than the alternatives. Perhaps I am jaded but whenever I see something at a significantly lower price than the alternatives alarm bells usually go off in my head. It was a bit of a gamble but I put the cost down to three things. First off, the workshop is run ‘off season’ having the benefit of cheaper accommodation and less tourists. Second, the company is based in South Africa where wages are lower than Europe or, to put this in a simpler context, had the photographer been a European photographer he would have cost more to hire. The final potential reason I could see for the lower cost is that Tailor Made Safaris is a (very) small company, the husband and wife team of Nick and Freya to be exact. After reading a lot of independent feedback about Tailor Made Safaris’ other (non-photographic) offerings and a couple of reviews by previous workshop guests I decided to take a gamble. Likely the most confusing aspect for anyone currently interested in the “Composing the Dunes” workshop is that the name of the company responsible has recently changed making Googling reviews of the workshop more difficult . At the time of my first becoming interested in the trip it was being offered by Tailor Made Safaris. By the time I arrived in Namibia I was greeted by someone holding a “Nature’s Light” sign. Nature’s Light is basically a Joint Venture between Emil from Limephoto and Nick from Tailor Made Safaris, bringing together great photographic expertise and reputable travel logistics. Although initially we both marketed our tours each on our own websites, we have discovered this year that it wasn’t working from a marketing point of view. The Limephoto website is optimised to attract commercial clients, and the Tailor Made Safaris website to attract ‘general tourists’, and hence we were ‘missing out’ on serious photography enthusiasts. These simply didn’t find out websites and thus didn’t know what we had to offer. We like to believe that was the reason we had so few people on our Namibia Tour, as we still feel the tour itself is good and offers good value for money. Our new website is designed purely for photographers, and we hope it will list better, and attract more serious people. The Emil mentioned in Nick’s description is Emil von Maltitz, a Durban-based photographer and our expedition lead. Despite being a commercial photographer Emil’s landscape credentials include being included in the 2016 Nikon calendar and shortlisted in the International Landscape Photographer of the Year 2015 book. For the rest of the review I’ll refer to it as the Nature’s Light workshop as, if you’re interested in it for the 2016 season, that’ll be who runs it. Accommodation was generally to a very high standard. 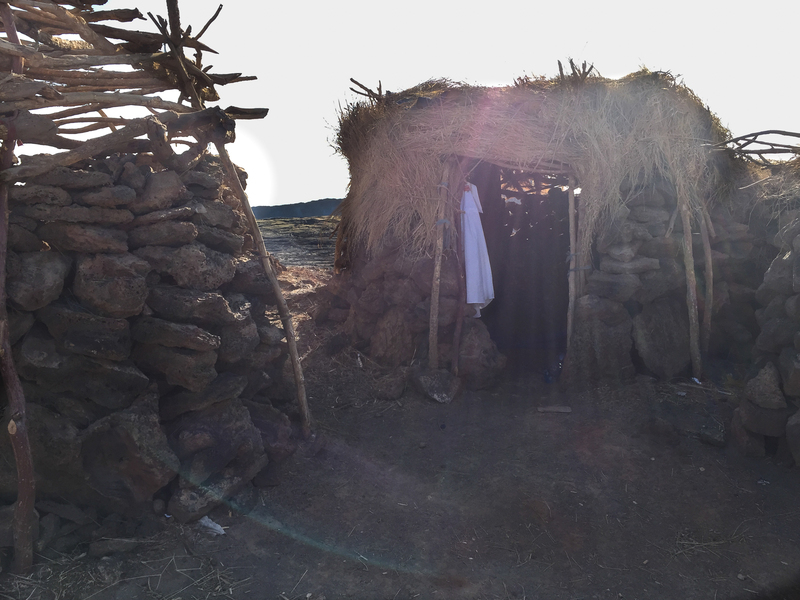 The accommodation throughout the trip was excellent. The published itinerary gives a sense of what to expect in terms of rest time and realising that good sleep when I could get it would be essential if I were to last the two weeks, I had opted for the single person upgrade essentially meaning that I had a double room to myself wherever we stopped and in one case I had a choice of four beds to sleep in! Even the most rustic of the accommodation at Spitzkoppe was more than acceptable and, despite being the odd one out in that they had external toilets and separate external showers these were in good condition. 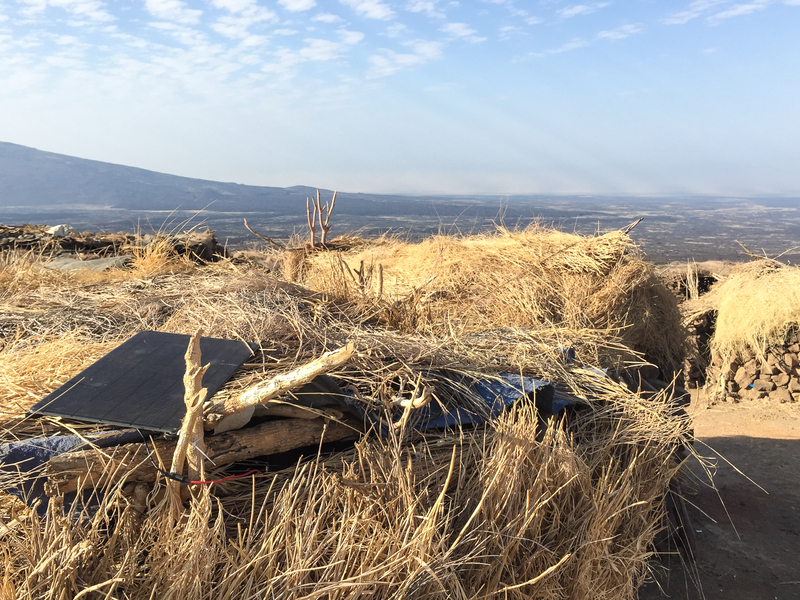 The 2015 workshop ran between November 5th and November 17th with 12 days ‘in the field’. The first day was set aside for guests to arrive and meet each other over dinner and so the actual workshop really started on the following day. 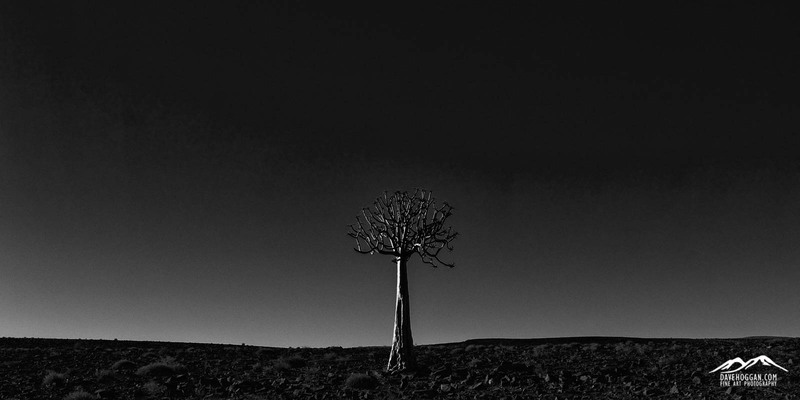 According to the brochure, the workshop concentrates on the Quiver Tree forest near Keetmanshoop, Fish River Canyon, the ghost town of Kolmanskop, Dead Vlei and Sossus Vlei and finally the Spitskoppe Mountains. Both Nick and Emil have run the workshop a few times and, being photographers running a photography workshop, have a good idea as to where guest’s interests will lie. From talking to Emil I got the impression that the itinerary is being reviewed based on the comments made by previous guests and so what the itinerary will look like in 2016 may well be different. That being said I’m pretty sure that the only location mentioned above that would potentially be missing is Fish River Canyon as the other locations are too visually impressive to miss. Fish River Canyon has been included as people have asked for it but the logistics of the trip (discussed later) and the fact that for many asking it is a “tick in a box” location means that the time could be better spent elsewhere. As mentioned above the first day is for inbound guests to arrive off international flights, rest up after what would have been a restless sleep on the plane and meet each other and the workshop leaders. There are a couple of ways to get to the international airport in Namibia’s capital Windhoek and I chose to fly via Johannesburg. I must admit to not really having thought about the flights as best I should have: Had I done so I would have realised that buying the London to Johannesburg and Johannesburg to Windhoek flights separately (to save money) meant that I needed to clear immigration and customs and collect my luggage in Johannesburg in order to check in for the second flight. Having only allowed two hours between landing and the next flight – which would have been fine as a transit passenger – was worryingly tight. Arrival in Windhoek was probably the only major issue I encountered on the trip and I’m still debating where the blame should lie. Upon entry non-Namibian nationals need to fill out an immigration card with the usual details, including an address at which you’ll be staying. The problem is: I hadn’t been given one. The only instruction I had was to look for a person carrying a Nature’s Light placard once I had cleared immigration and customs. The immigration officer wasn’t going to be helpful either, flatly refusing to point me in the direction of who to talk to about this and eventually refusing to return my passport to me. I did have Emil’s (South African) mobile number but that wasn’t working as he was about 60 metres away on the other side of Namibian immigration waiting for me. In the end it was only the fact that another immigration officer read the introduction email I had been sent and, realising that I may be telling the truth, told me to go through (without my passport) to get the address. It was a lot of unnecessary stress. So who is to blame for this? Well, to be fair I should have known better. I travel a lot and had I paid more attention I would have picked up on not having an accommodation address before I travelled. But not everyone travels as much as I do and so I have to say that this should have been communicated by Nature’s Light ahead of the trip. Once we arrived at the Ondekaremba Lodge there was time to relax and freshen up before dinner. On this expedition there were only two guests; myself and a Croatian named Romeo. Because of this there was only one Nature’s Light photographer, Emil and due to the rather small group we were in a single 4WD, with plenty of room and, as I discovered as the trip went on, all the benefits of small group travel. We also discovered what was to become a constant when staying at various locations throughout the country: Wi-fi that didn’t really work too well. Not that it bothered me all that much as it was quite nice to be ‘off the grid’ but if you’re planning on staying in contact with folks back home, you may want to consider a local SIM card on the MTC network – you’ll get the chance to buy this tomorrow. The start of the 12 day workshop proper and a day with an awful lot of driving – just under 500 kilometres. The aim was to travel south from Windhoek and get to Keetmanshoop by late afternoon so we could be at our first location for sunset. After breakfast there is a stop in town to visit an ATM/bank to exchange money, pick up groceries and for those interested, a SIM card for the local network. It is worth getting the SIM as it does not cost too much and will without question be cheaper than any roaming plan you may have. The SIM I opted for had 30 minutes of international calls and 500MB of data for something like US$10. Driving days are inevitable on trips like this and the usual aim is to complete the journey with as little delay as possible. That said, put three photographers in a car travelling through a changing landscape and you’re bound to make several random stops to photograph something interesting. The only main stop was for lunch at a Wimpy roadside cafe. In the past I have noticed that people can be a bit funny about things like lunch venue but my view on these trips is that I’m not there to waste time in restaurants; as long as the food is reasonably tasty – and all the places we stopped at served a good selection of food – then the less time we spent eating meant the more time we would spend shooting. You’re also experiencing more of daily life in Namibia than you would in an actual restaurant. We arrived at the Mesosaurus Fossil Site near Keetmanshoop and checked in to the lodge – home for the next two nights. After unloading our kit into the rooms we were back out and heading towards the first location of the trip, the Quiver Tree forest. I wrote a small piece on the forest and whilst it isn’t a forest in the traditional sense, the trees (which aren’t technically trees) are striking and so I could see why there were four separate shoots planned here. Also, I usually take a couple of shoots to get into the swing of things so having several shoots meant I could treat this first one more as a “warm up” session. After sunset we returned to the lodge for dinner – homemade food from the local farm – which was very tasty before heading back out for the first of the astrophotography shoots. I have never really tried astrophotography before so this was one part of the workshop that I was quite interested in. I had emailed Emil before the trip to ask if we covered everything we needed to know and the simple answer is yes; despite having no real knowledge of how to capture astrophotography images before the workshop, I left with the knowledge and skills required to capture and process my own images. I wrote a more detailed piece on this, but the image below is taken from this very first evening session on the workshop. 16mm, f/2.8, 20 seconds, ISO 3200. I think that the astrophotography part of the workshop highlights a couple of important aspects of the trip. First, through the repetitive process of shooting images for astrophotography and then post-processing them, by the end of the two weeks I had a good basic understanding on the process and one that I have subsequently been able to replicate on my own. In other words the workshop has taught me a skill that I will be able to use on every trip I take from now on and to me, that is very valuable. The second aspect is that, up until this trip, I steered clear of using Photoshop as I really didn’t understand it. The post-processing sessions we had throughout the trip have helped me become more familiar with how Photoshop can help me produce an image that is in line with my vision. In fact, the image above is a case-in-point: It was actually taken as a test shot for a star trail time-lapse that we were looking at. Through using Photoshop’s masks and layers I’ve been able to turn the test shot into a very presentable image. So, the workshop has also given me familiarity with Photoshop. After the shoot we headed back to the lodge to freshen up, transfer images onto backup storage and sleep. Tomorrow will be the first pre-dawn start. 4:45AM is not my favourite time of day – any time pre-coffee is eyed with disdain – but we wanted to be in the forest before dawn and one of the nice things about being out of season was that we would likely have the place to ourselves, which we did. We spent the early morning shooting the trees and sunrise and Emil was on hand to give advice. By 8AM the sun was getting hot and the light was becoming increasingly harsh so we finished up and headed back to the 4WD for coffee in the shade of a communal weaver bird nest, an experience only slightly diminished by the knowledge that there are likely several snakes in the nest too. 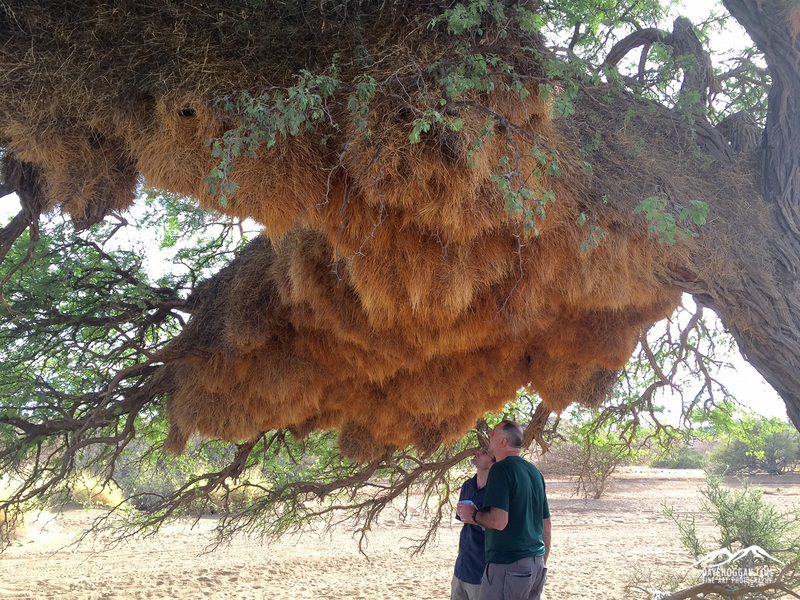 Examining a social weaver nest over coffee. For those days not spending travelling the third day exemplifies the general structure of the workshop: a dawn shoot, coffee on site before heading back for breakfast, lessons/processing/sleep with lunch at some point, then out again for a sunset/night shoot. Back at the lodge with breakfast out of the way we sat down for the only structured lesson of the workshop – a slideshow on frame, elements and relationships. It is not something new to me, having read this in many other places, and I’m guessing that anyone looking to attend a photographic workshop will have seen similar articles too. Of course a reminder of these aspects is always good – especially as I have difficulty in putting them into practice – but I do wish that I will one day find someone who covers “why photographs fail” – for example, show a scene shot in different ways and then explain why the ones that fail, well, fail. But the slideshow did show one thing: if there were ever a question about Emil’s credentials to run a landscape workshop, it disappeared with the images shown then. I’ll come back to this at the end of the review but nothing in the marketing information shows this side of Emil’s work. 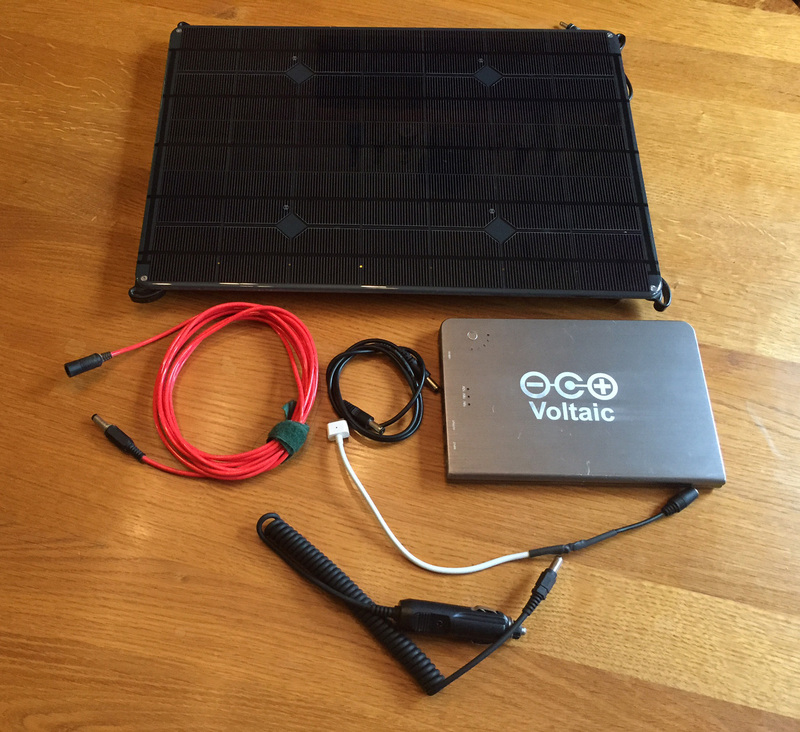 Like many places throughout the country the lodge is at least partially dependent upon solar energy and here power and hot water is provided by a solar array. 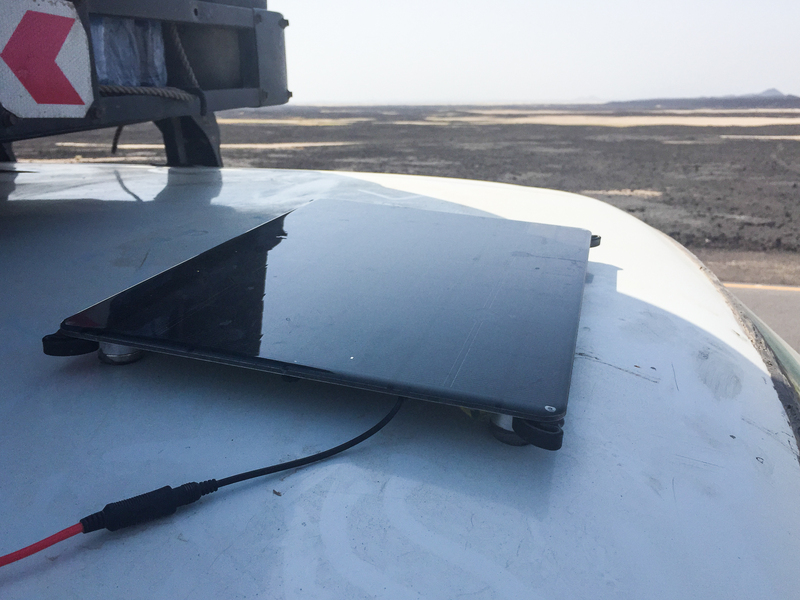 Being out of season, we pretty much had the place to ourselves but still managed to overload the batteries of the array with three MacBooks connected to it. So, as always, have plenty of spare batteries. 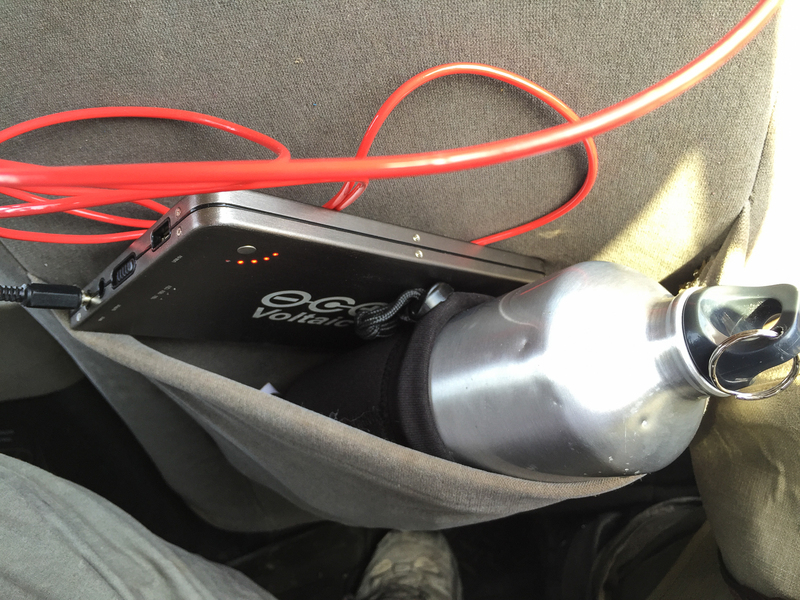 I took along my Voltaic solar charger as a backup. After an hour-long snooze we headed back out to the forest – the same place as the morning but different to the previous day. 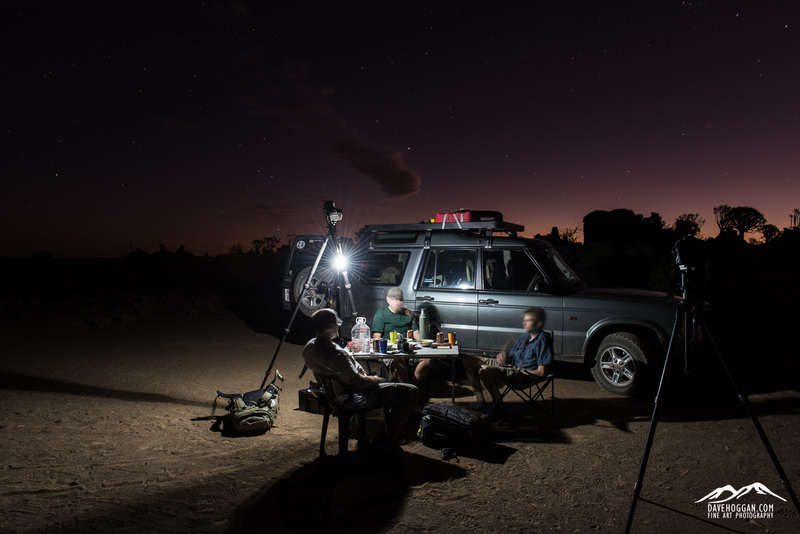 The aim was to spend the sunset hours shooting, eat a light meal on site and then continue with some astrophotography. I made the decision to head off by myself and see if I could improve on yesterday’s lacklustre start and I appreciated the fact that I could do so. In fact the only inconvenience I could have faced is that, had I wanted Emil to look over a composition or a shot I had taken, it would have meant a bit of trek to the other part of the forest. One thing to be aware of in Namibia is that, despite your very best efforts, you will get sensor dust. Namibia is a very, very dusty country and so you should just assume that it will happen to you. The question is really what you do about it. The answer, of course, is clean your sensors and luckily having shot multiple times in these conditions Emil knew how to clean the sensors and had the kit with him. Back in the UK, a full frame sensor clean from a reputable dealer can cost around £100 by the time you factor in shipping and so having this service performed as needed was a bit of a boon. But, never being one to take a back seat, Emil was happy to show me how to clean my own sensors. Another skill that I can use whenever required which, aside from saving me a lot of money, more importantly means that I can clean sensors whilst on location. Never having been on another workshop I do not know if sensor cleaning lessons are a common thing, but I suspect not. After sunset we waited by the 4WD as the sun fell far below the horizon and the sky darkened to reveal the canopy of stars. If you’ve never been to a region free of light pollution then the African night sky will be a bit of a shock. It is, simply, magical and if you’re looking at learning astrophotography then you’re in the right place. 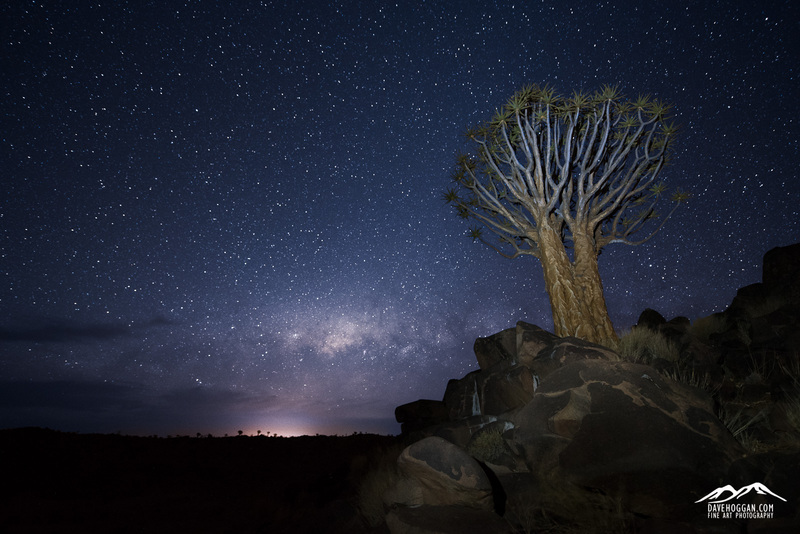 Another nice thing about out-of-season Namibia is that with no people around for miles it is perfectly safe to set up your cameras and walk off, so after setting up one camera each to take the necessary shots for a time-lapse, we headed back to the 4WD with the aim of using the other cameras to shoot some standard astrophotography. Unfortunately we took the scenic route (OK, we got lost!) and spent an hour trying to get our bearings by which time the time-lapse had finished. In the end we only had enough time to capture a couple of standards shots which doesn’t sound like much but bear in mind that each ‘standard’ shot required three 240 second exposures and an addition 30 second exposure – basically around 15 minutes each. Then it was back to the lodge for the end-of-day image backup, showers and to pack the contents of our international luggage into big plastic boxes so that we could put clothing on the 4WD roof giving room for the camera gear to go in the 4WD. Make sure that you have a big dry bag (or similar) to put your items in as, starting tomorrow, things will get really dusty. Another pre-5AM start for a dawn shoot at a third location in the Quiver tree forest followed by coffee and breakfast back at the lodge. After breakfast we were driving to Fish River Canyon which isn’t a particularly long drive – approximately 125 kilometres – but it did introduce us to the more common type of road surface in Namibia: crushed rock. Other than a stop for lunch at an American-style roadside diner – complete with American sized portions – we didn’t hang around and made good time arriving early afternoon. I can see why Fish River Canyon is the one location that may not make it into future workshops. Without doubt the canyon is impressive and a quick look at the Wikipedia article shows that there is a popular 90 kilometre hiking trail and a yearly ultra marathon that attracts visitors to the canyon floor. Speaking of which, the high canyon walls must mean that there is some impressive light and shadow down there – not that you’ll get to see it. Due to the high risk of flash floods (and no way to get out quickly) the trails down to the canyon floor are closed between September and April and although you could ignore the signs and get down, no responsible workshop is going to ignore official warnings. Being confined to the top where the light is harsh leads to somewhat flat images and aside from the option to zoom in and focus on details you’d probably have a tough time producing something for the portfolio. Still we spent a couple of hours at a few places and grabbed a couple of shots that could potentially make it into a stock library. We had passed the hotel on the way to the canyon and so had to drive back the same way we had come. On the way back we stopped at a tree we had spotted on the drive to the canyon, a lone tree in the middle of nowhere and we spent a pleasant half hour or so attempting to get an interesting composition out of it. It was here that we were introduced to the concept of focus stacking, something I had heard about about but never really paid much attention to (as Photoshop was involved), which essentially involves taking a series of shots of the same scene only varying the point of focus. These shots can be combined in Photoshop later to produce pin-sharp images from foreground to infinity. It is worth mentioning that we tried focus stacks a few times throughout the trip but I have since found that none have really worked out for me as the lens I used suffers from focus breathing. So if you are going to try this technique it could be worth testing to see if your lens suffers from focus breathing too as it is a pain to correct – if you can at all – later on. The evening was a leisurely affair at the Seeheim hotel which is about the only remaining structure in the town and a curiously cobbled-together place reminding me of an Escher drawing. The bar is curious in itself looking like a colonial retreat complete with stuffed and mounted animal heads. But the highlight of the evening was a waitress whose humour was drier than the surrounding desert and whose sarcasm was delivered in such a deadpan fashion that you didn’t know whether it really was sarcasm or her simply speaking her mind. Even Romeo, who had hitherto been the master of dry wit, was impressed. In part two, we continue the trip and look at the wonderfully photogenic Kolmanskop, a perfect film set for a horror movie!